A new series of Nature starts on BBC Radio 4, Tuesday 4 February, 11.02am, presented by and featuring wildlife sound recordings by Chris Watson. 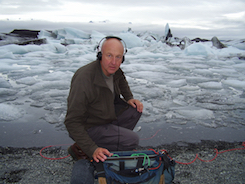 In the first of new series of Nature, we join wildlife sound recordist Chris Watson in Iceland. When it comes to dynamic landscapes, there’s perhaps nowhere in the world more exciting than Iceland; with it vast groaning glaciers, spouting geysirs, thundering glacial waterfalls, hissing thermal vents and erupting volcanoes – and it’s the sounds of this landscape which Chris is keen to capture. But there are other sounds too; and on a hillside behind Husavik on the North coast Chris is astonished by the density of birds ; snipe, whimbrel, redwing, golden plover and redshank “ At first, it’s not apparent when you just look round, but what you really need to do is just listen” he says. In the second of three programmes about the natural history of Iceland, Chris goes in search of Arctic Terns – which travel to Iceland from Antarctica to breed; the longest regular migration of any animal. Some birds travel even further – to the Arctic circle, and so on the summer solstice, the longest day of the year, Chris takes a 3 hour ferry journey to the island of Grimsey which lies on the Arctic Circle to see and record some of these remarkable long distance migrants; birds which see more daylight than any other creature, as they enjoy a southern summer and then a northern summer each year. 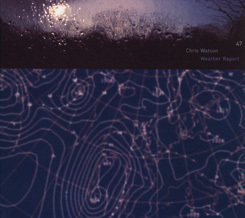 In June, Chris travelled to Husavik on the north coast of Iceland where he joined a whale watching trip to look for Humpback whales on their summer feeding grounds – and perhaps even see some of the same animals which he had recorded on their breeding grounds earlier in the year.